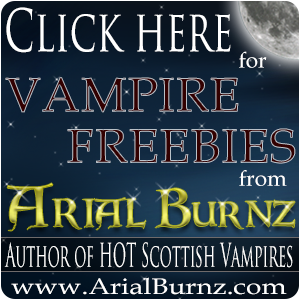 for vampire freebies, short stories, exclusive drawings and announcements. JOIN THE CLUB! It's FREE! Broderick MacDougal follows the familiar yearning of his soul to a fierce warrior who is as seductive as a siren at sea—and she is just as deadly. Broderick not only finds himself in the midst of an ancient war of shape shifters, but the devious Cordelia Harley has re-entered his life and has a few of her own surprises. Born into a hated race of Norse shapeshifters, Celina Hunter knows all too well the dangers of trusting anyone other than her two brothers. And yet the survival of her family hinges on trusting the strangely familiar Broderick MacDougal, a natural enemy of her kind…yet one her tribe’s Shaman advisers confirm is her soul mate. Enemy or not, Celina slips into the spell of this vampire's promises of eternal love, gambling with all she holds dear. Broderick and Celina are bound by a curse, but having come this far through the centuries, Broderick is not about to risk his chance at having his soul mate for eternity. The price, however, may be more than Celina is willing to pay as there is more at stake than just her immortal soul. I estimated that a one-hundred-year jump was a good span of history between novels in the series. 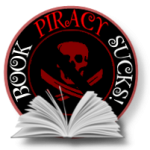 That put Book 3 in the 1700s…and that was the heyday for pirates! As lover of pirate stories, lore and history, I couldn't resist. I thought it would be fun to put Broderick on a ship and mix him up in the roudy adventures of a few swashbucklers. Of course, I also couldn't help throwing in some extra paranormal elements. 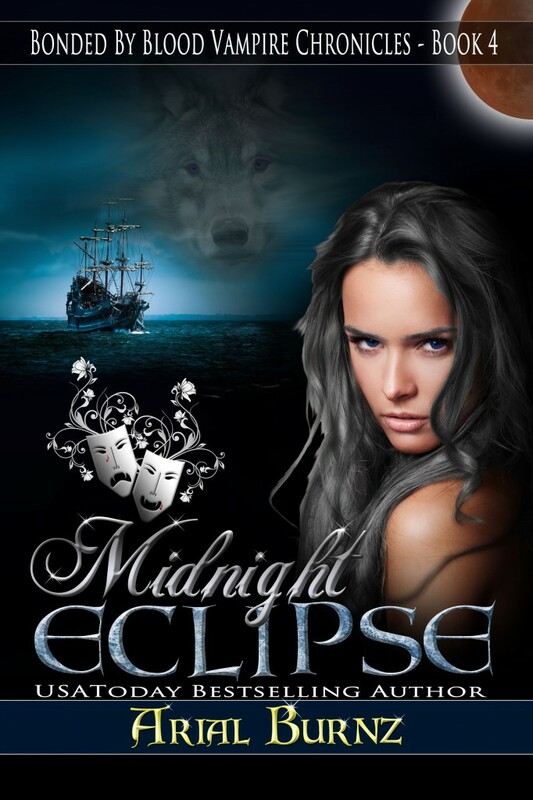 What fun I will have crafting the tale of a female werewolf and her two handsome werewolf brothers! Woot!! This tale has a Romeo and Juliet theme–two lovers whose families/races are sworn to kill each other. My heroine, Celina, has two protective brothers–Jericho and Chandler–who may also get their own stories in a couple of spin-off novels. If my readers are interested in hearing their stories, Jericho's story would be a heterosexual tale, but be forewarned–Chandler's story would be a male/male romance. These stories would not be part of the Bonded By Blood prophecy storyline. But we'll see if I write them. I have a lot of other stories coming down the pipe, so unless the readers are clamoring for these “tails”, they'll have to wait. You’ve got me again!! You evil woman!! I am so in love with Rick!! He is one of the hottest and lovable vampire’s I’ve ever met!! Thanks now I have to save money to buy this one!! Thanks! You are so damned adorable!! I’m THRILLED you’ve fallen in love with Rick!! 😀 And it only gets better! At least that’s what I’m told. Mwah!